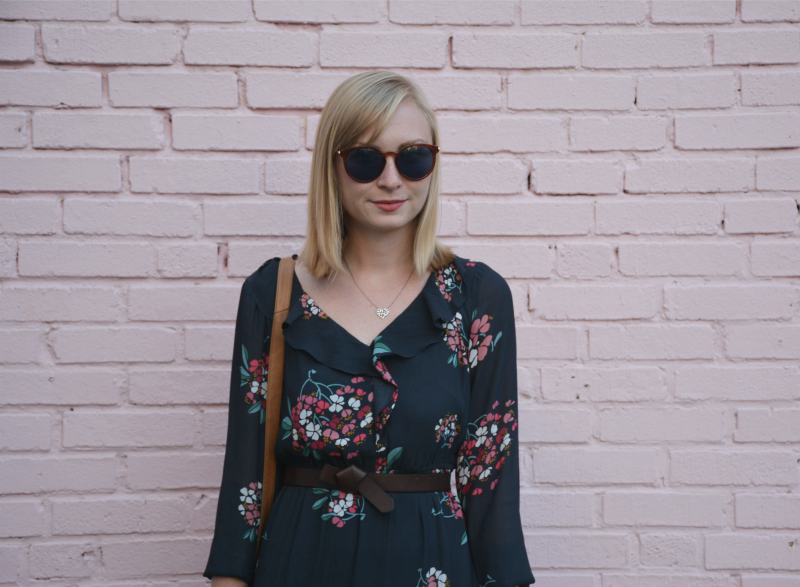 August was long and hot, I tried to go out a few times to shoot for the blog and I just felt like a sweaty mess and uninspired. But September is here and I'm feeling inspired and restless once again! 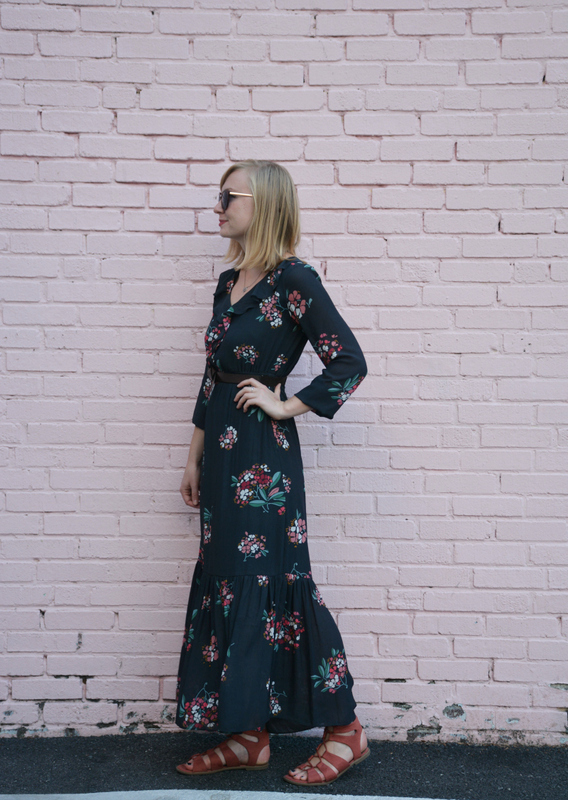 I bought this floral maxi dress two months ago but never got the chance to wear it with how humid it's been. 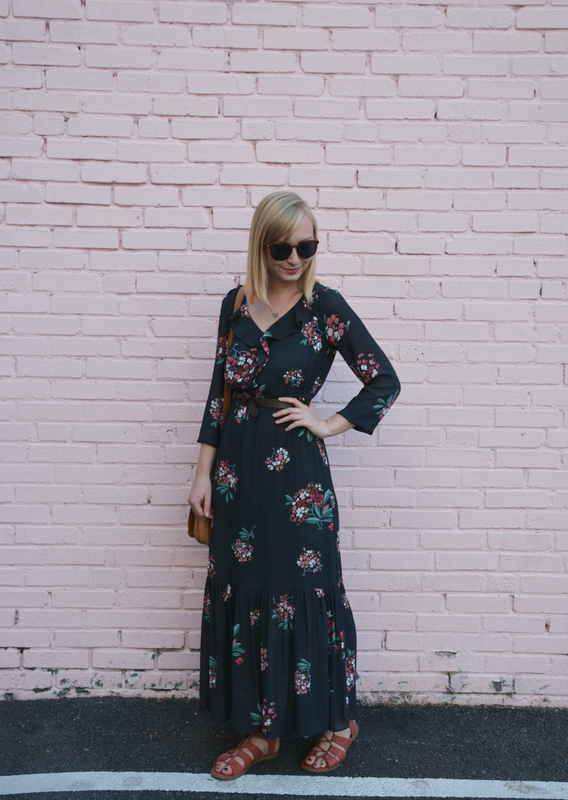 We finally had a cool day where I was able to wear a maxi dress with long sleeves - a miracle! 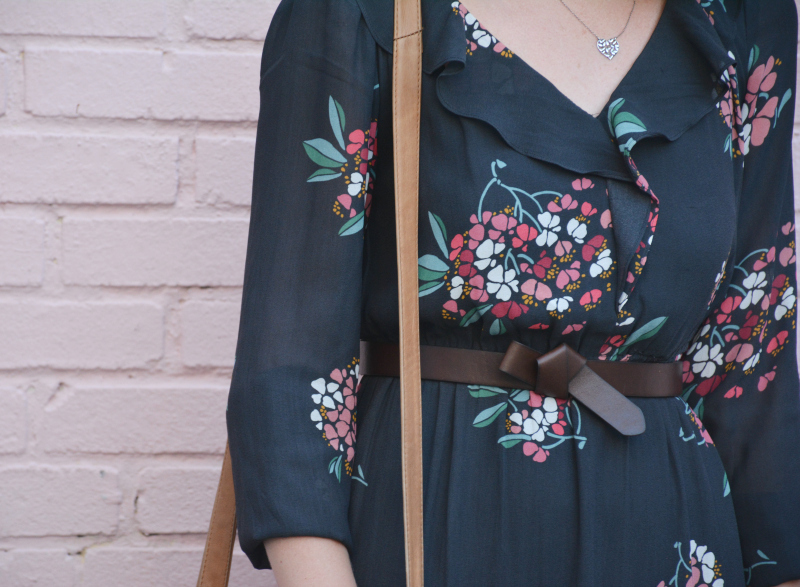 This dress definitely isn't the usual piece I would pick out for my wardrobe, it's a little more boho than the rest of my closet but with the gorgeous floral print and its pretty silhouette - I couldn't resist! 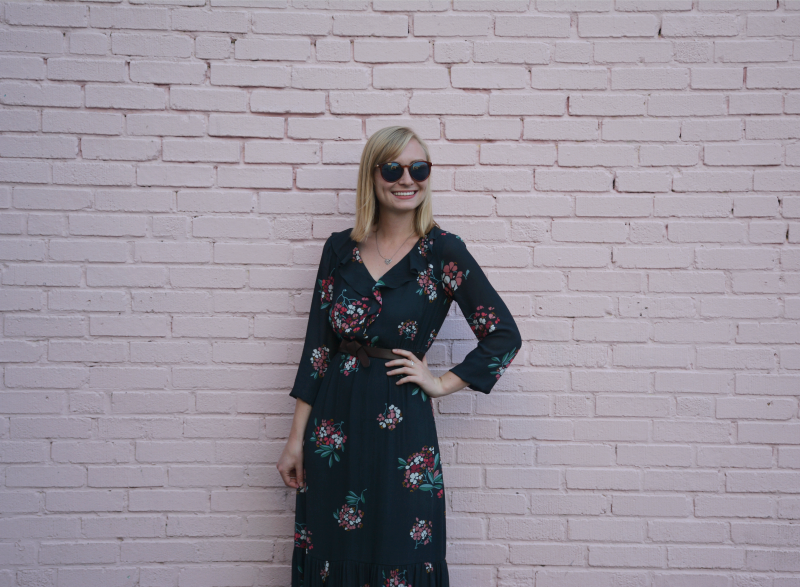 I decided to pair it with a pair of gladiator sandals for summer vibes, but I'm looking forward to styling it with booties and a hat for a fall. Now that Labor Day is over, I'm looking forward to fall even though 90 degree weather is being called for in Philly for the next week and a half, at least. Here's to hoping that fall is right around the corner! 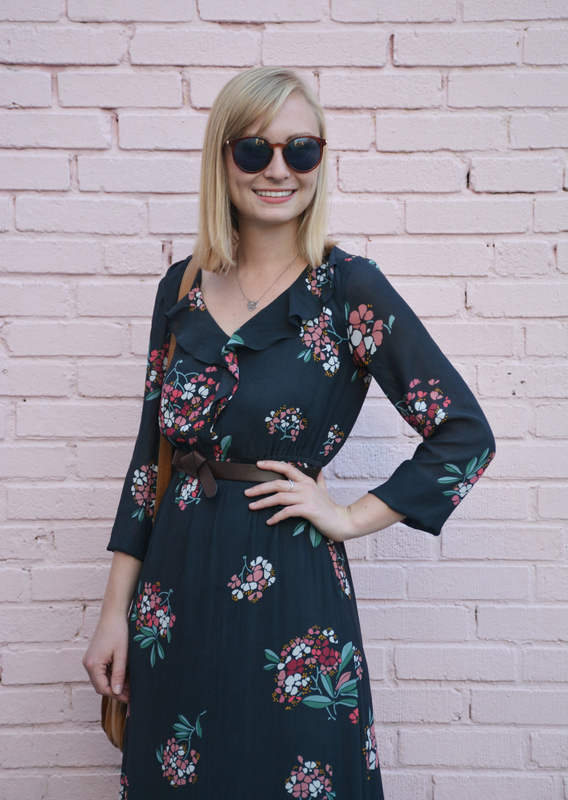 This floral dress is darling and will be perfect to wear into the fall! Hopefully the summer humidity will cool off! 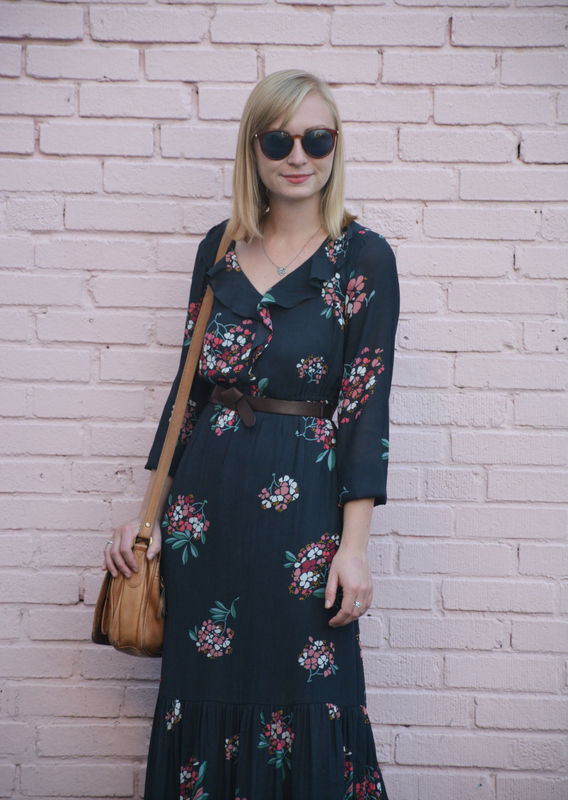 Super cute dress. I think a lot of blogger took August out. 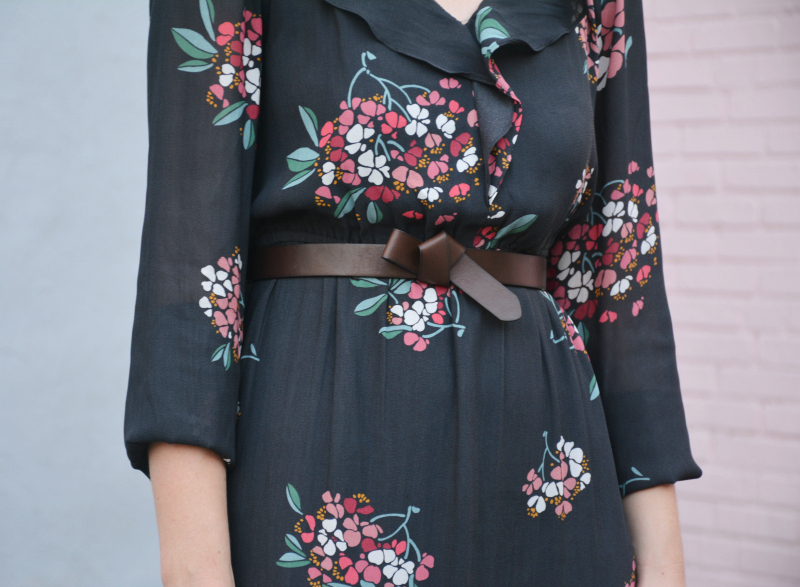 This dress is super cute. You look great.Welcome back. Oooh, I love this print! I'm so jealous of your fall weather -- we are still firmly in 'hot and sticky' mode out here in the Midwest!